The creation of Johnnie Walker XR was inspired by the handwriting blending notes of Sir Alexander Walker and is purposed for salutation to him. Sir Alexander Walker is the grandson of the legendary Johnnie Walker, and indeed, Sir Alexander himself is a legend in JW family too. He played a key role in JW’s development and success. 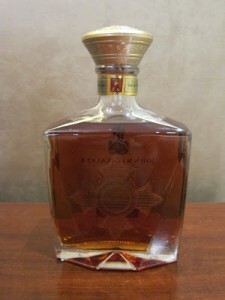 For biography of Sir Alexander Walker, please refer to the official website of Johnnie Walker. I do not intend to copy and paste such easily available Internet information here. John Walker XR was firstly launched on travel/duty free shops in late 2010 and is now available in retail markets of some districts. 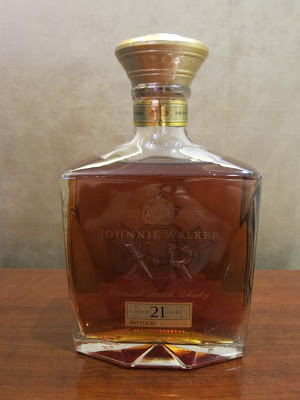 Johnnie Walker XR is a blended whisky with barrel aged for 21 years old. 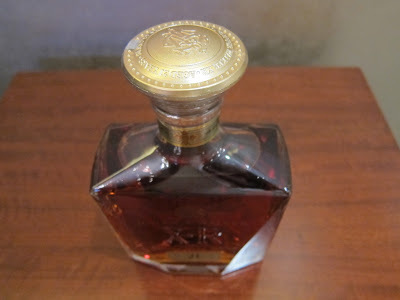 JW claimed that XR consists of some rare stocks including closed distillery of Brora, as to XR means Extra Rare. The bottle and package of JW XR are luxury, golden color main themed thick carton box and heavy thick bottle in elegant and regal look design. 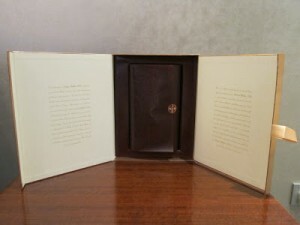 By its presentation, it is without a doubt a good choice for gift. Impressive presentation but how does it taste? Conclusion: The note trends to grass herb, a bit overly in wood and rosin but still acceptable, fresh dried flower and hay, pleasurable. Very soft and smooth body, dominated by black coffee, stirred in sweety preserved fruit for balancing, deepening by lightly peat, smoke and spicy, very good balance despite of lacking strength. Medium length aftertaste, soft and smooth but a bit watery. To describe this dram by personification, I would say a softy whispering flossy woman in light make-up exhaling fragrance . 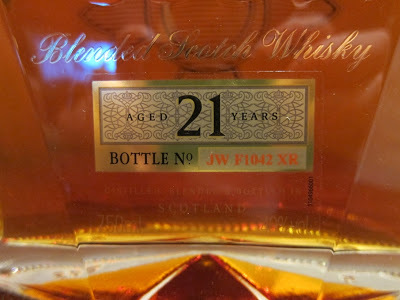 This is a successful blended whisky that is smooth, pleasurable and easy to drink. 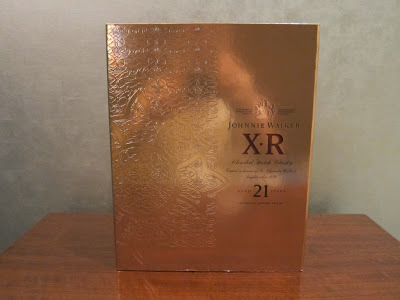 JW XR is value for money for both self consumption and gift by taking the luxury presentation and duty free price into account.